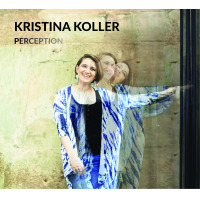 Always innovative and pushing the limit, Kristina Koller is making her mark in the music world. As a vocalist, arranger and composer Kristina fearlessly pushes ‘vocal jazz’ into different directions adding interesting flavors and textures to create her unique sound. Evidenced in her widely acclaimed 2018 debut album ‘Perception’, her music is both timeless and contemporary, melding different genres together and uplifting old jazz standards to a refreshing direction. 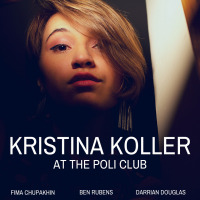 Her latest EP release ‘At The Poli Club’ captures a snippet of her live show. It exemplifies her extraordinary and expressive vocal dynamics in its purest form, doing what she does best - performing and producing music without bounds. Her approach enlightens young as well as older audiences, giving traditional jazz music an enticing uplift and making it easily embraced for all musical tastes. Growing up just outside of New York City, Kristina was exposed to a wide array of music & dance which markedly influenced her at an early age. As such, she performed in youth musical theater and eventually branched out artistically, embracing solo performance as a teen singer-songwriter and vocalist in alt-rock bands. Her artistic thirst reached into classical art songs, opera and eventually vocal jazz when she discovered the music of Ella Fitzgerald, Anita O’Day, Sarah Vaughan and Chet Baker. Her embrace of jazz expanded into the performance space during her high school years, joining a jazz quartet that gigged locally in Westchester, NY. On scholarship she studied at The Hartt School’s Jackie McLean Institute of Jazz and completed her formal music education at The City College of New York. Kristina developed her musical voice in the NYC jazz scene, performing at venerable jazz haunts such as Smalls, Smoke, Minton's, Mezzrow as well as The Apollo Theater. With such a diverse artistic foundation, it is no surprise that her innovation for new sounds drives Kristina’s creative flow, melding jazz, funk, R&B & alternative genres into her music. All About Jazz musician pages are maintained by musicians, publicists and trusted members like you. Interested? Tell us why you would like to improve the Kristina Koller musician page.